SmartWorks is our web-enabled eCommerce platform that provides a central point for clients to quickly access product catalogues, facilitate on-line ordering and maintain control with full reporting and analytics capabilities. We manage the entire process for you – tailoring the program to meet your unique needs at an operational level, while allowing you control over expenditure, exposure and brand. Our reporting functions provide all the necessary information to reduce the time spent by your staff in defining and managing print and distribution. Contact us to see how SmartWorks can benefit you. PMG's design and communication team work with clients and partner in concept and design. Our manufacturing and finishing capabilities are flexible and diverse. We manufacture a broad range of print items using a variety of print methods, ensuring cost effective solutions. Our internal capabilities can support a wide variety of printed material from traditional documents and printed stationery, high quality marketing brochures and complex business documents. Communication is perhaps the most important factor when dealing with your customers and prospects. 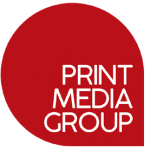 At PMG we have various products that can assist you with your communications, from our SmartProducts, personalisation, direct mail, mail outs, campaign management, through to signage and kitting. We can also assist with multi-channel communications encompassing Sms messaging, emailing and HTML. Our label and packaging solutions are high quality, flexible and value for money. We provide everything that your brand demands to attract the consumer’s attention when and where it matters most – on the shelf. Using the latest technology, we have the ability to print on a wide range of materials and substrates for various applications within market segments including warehousing, distribution, household, personal care, food, beverage, beauty, healthcare, petcare, horticulture & automotive industries. Various decorative effects can be added including; metallic inks, foils, textured ink, scented inks, light fast inks, texture coat, embossing and specialty colours so they conform to your corporate guidelines and ensure you achieve a high visual impact to showcase your brand. Labels and packaging can be created to almost any shape or size to suit your creative requirements. Our ‘Coupon’ multi-layer labels provide extra space when you need it, an excellent solution for promotions or when more detailed information is required for your product. Our team partners with you to provide innovative concepts and designs to suit your requirements. from your competitors. We have access to a wide range of quality promotional and fundraising products. Click on link to go to Merchandising page. We have secure purpose built warehouse’s accommodating a range of services including fulfilment, pick/pack and distribution operations across Australia. Our substantial experience in managing multi-site and single distribution point print and delivery arrangements make us a great choice for your warehouse and logistic requirements. Visit our dedicated Healthcare website.